In the summer of 2011, Google announced the support of authorship markup as a way for authors to verify content they’ve created and become authorities on specific topics. Early adopters quickly realized the benefits of the new tag and implementation has continued to grow since its release. 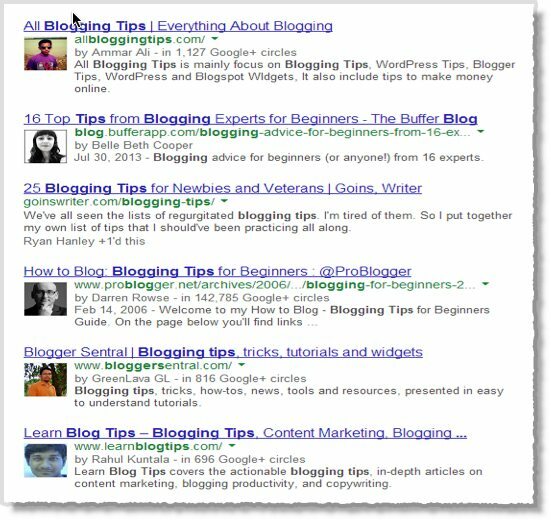 Google says authorship is here to help searchers find great content which will improve the searcher experience. Recently, Google officially announced updating its algorithm to look at signals including authorship markup to help it provide searchers with in-depth articles in their results. To listen to what Matt Cutts has to say regarding how Google will evaluate the use of authorship markup moving forward you can watch this YouTube Video. Modern online marketing campaigns continue to recognize and adopt content marketing as an integral part of an online marketing strategy which has increased the amount of content created and published every day. For some, this is a confirmation of long-held theories – for others, it’s a new starting point. According to 2013 research study by the Content Marketing Institute, 86% of B2C marketers use content marketing and on average, 55% of consumer marketers plan to increase their content marketing spend. This upward trend also applies to B2B marketers, which on average are spending 33% of their marketing budgets on content marketing – up from 26% last year. Moreover, the majority (54%) say they will increase their content marketing spending in the next 12 months. Maile’s comments suggest that Google does prefer to feature a real person and that content associated with a real author will assist in providing credibility. Mark’s thoughts reinforce the concept that authorship is meant to support recognized, real authors and suggests that Google may penalize or devalue the signal when used improperly. Many organizations invest in market research to create personas that accurately represent their consumer base. 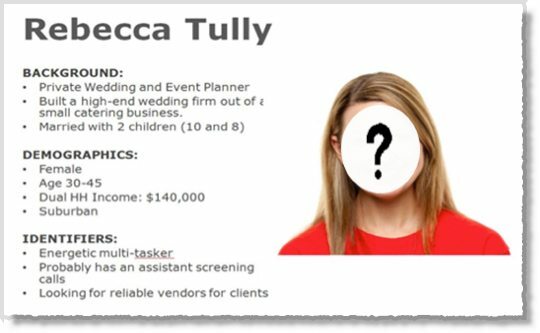 Some organizations and marketing agencies will use these personas to develop pseudonyms and build out profiles used for outreach, social media, and authorship. Despite Google’s preference for attributing content to real people, there are still a variety of reasons a decision could be made to use a pen name. Let’s look at two very different scenarios, one where a pen name could be used and one where content is associated back to the original author. In this scenario, an organization doesn’t have the internal resources available to manage a long-term content marketing strategy and utilizes a 3rd party vendor or marketing agency to manage their content marketing and copywriting efforts. If a company doesn’t have a SME (subject matter expert) available as a resource, deciding who to attribute the content to can get tricky as many businesses would prefer to attribute all the content back to a company profile. While a verified company profile on Google Plus will typically provide searchers with additional visibility in Google’s results pages for branded or navigational queries, Google currently wants to feature people, so at this time a profile photo rich snippet isn’t available for businesses or brands. It’s worth mentioning that with the introduction of in-depth articles into Google’s results, some brands are receiving a small logo annotation at the bottom of these results. How an in depth article will appear in search results. Establishing who will be reviewing, writing and/or taking author credit for the content will likely depend on the resources available. 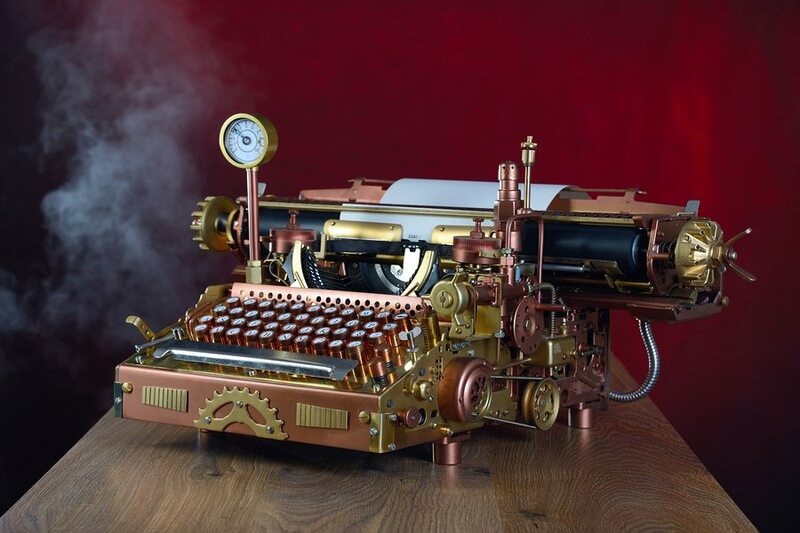 Without an SME or other thought leader within the company willing to guide these efforts, using a pen name for profile creation and authorship is an alternative to associating the content back to the actual author – who is often a paid, professional copywriter. Any relationships and authority built with a fictitious profile could be compromised with the termination of a campaign between an organization and a vendor, depending on who maintains ownership of the persona. Relationship management: Will the creators of an anonymous profile be willing to respond to questions, comments, or inquiries regarding the product, service or solution? As content marketing continues to become more about relationship building, having someone to manage these relationships and lead opportunities is key to building an audience and increasingly visibility. While a pen name isn’t a real person, the profile will require a real photo in order to display a rich snippet successfully. 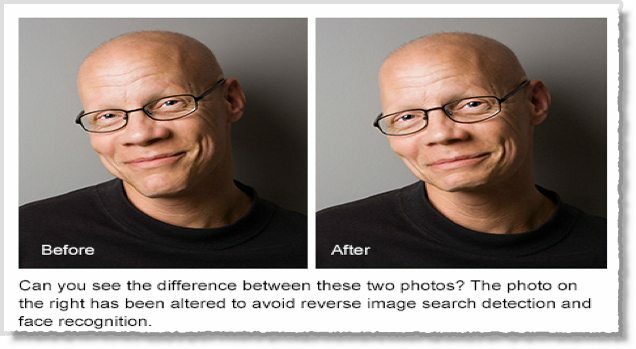 These profiles are often created using random photos of real people from the web and modified slightly to avoid reverse image search detection and/or face recognition back to the original source. As Google’s facial recognition becomes more prevalent and sophisticated, it’s my belief this technology can and will be used to detect fake accounts. In this scenario, a business has internal copywriting resources which could include a team of SMEs who are involved with the businesses’ content marketing strategy. Part of these efforts includes utilizing authorship markup for the content they write and also any relationship management responsibilities associated with published content. Real people are creating valuable content for a target audience around topics they are experts in. In addition to providing thought leadership, these authors are available to interact with readers who have engaged with the content. Sharing and engagement from authentic accounts created by real people can help add to the credibility and authority of the author. Digital marketing is a fast-paced industry and requires expertise to create and implement a successful content marketing strategy. The mediums, channels, and formats used in a content marketing strategy are continuously evolving. Many businesses will utilize a marketing agency to assist them with effective content marketing strategies which is key to achieving optimal brand visibility and for reaching new audiences. As we enter the age of the semantic web, relationships, connections and interactions could all influence an author’s authority around a subject or topic in Google. Using a pen name for these efforts would make it difficult to establish meaningful relationships. Based off of comments we’ve heard from Google employees and industry experts, all signs point to the conclusion that content created by real authors will assist in building the author’s credibility, authority, and improve search results. “The true cost of remaining anonymous, then, might be irrelevance.” or are there circumstances where remaining anonymous makes sense?